There aren't any properties on the market as this one! This villa is being fished this month and will be available for long term in February. Call 647 22 99 00 for viewingsThis penthouse is available now for rent in Calanova Golf, La Cala.Fully furnished 2 bedroom, one bathroom, separate kitchen and very large, south west orientated terrace with Jacuzzi and BBQ. The penthouse is rented with parking space. There are two swiming pools in the urbanization and padel. Luxury 3 bedroom apartment available now for long term in the exclusive urbanization near Estepona Los Granados Playa. The urbanisation has 24 hrs security, GYM, tennis courts, and swimming pools. 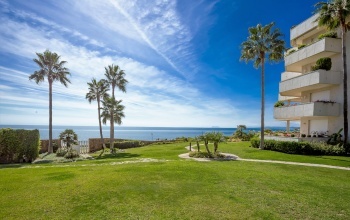 Luxury 4 bedroom apartment available now for long term in the exclusive urbanization near Estepona Los Granados Playa. The urbanisation has 24 hrs security, GYM, tennis courts, and swimming pools. 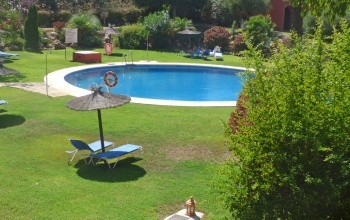 The apartment is on a ground floor with direct access to the beautifully maintained gardens, pool and to the beach. Large and sunny terrace surrounds the entire apartment. 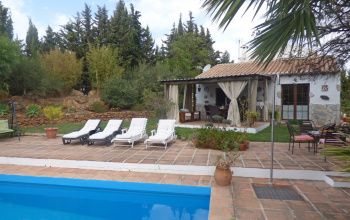 RENTEDThis 3 bedroom quality house on a finca of 7500m2, private swimming pool, gardens, vegetable plots and stables with storage, is available now for long term rent. The house is 5 min drive from the center of the village, with great access from the main road. Available for long term rent in the center of Alhaurin el Grande, this townhouse has very large garage/storage room with WC on the ground floor, 3 bedrooms, kitchen, living and dining room and a bathroom on the second floor, and there is large attic room on the 3rd floor. For viewings, please call 647 229900 or email info@liveinthedreamspain. Beautiful, tranquil, private and best views!!! This 3 bedroom villa is located in the outskirts of Alhaurin el Grande, in the hills of popular area. Fully furnished, 3 bedrooms, 3 bathrooms, two living rooms, kitchen, study and bodega/games room in the underground floor. AVAILABLE FEBRUARY 2019 for LONG TERM This two bedroom apartment is spacious, bright and in prefect condition. Main bedroom and living room are overlooking the large communal swimming pool and the beautiful tropical gardens. The kitchen is separate, fully equipped and there is a laundry room too. The living room is very large and bright, with access to the large balcony. 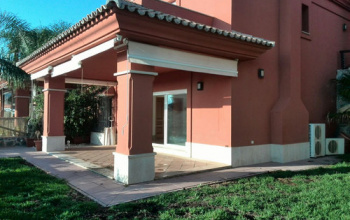 Local for small business available for rent in Elviria. 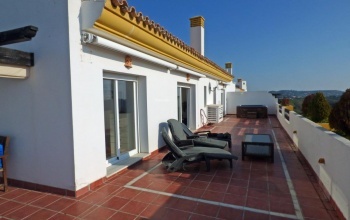 The local is approximately 40 m2 with bathroom and build in reception area.To arrange viewing please call +34 647 229900Or email info@liveinthedreamspain. This beautiful and spacious ground floor apartment in popular beach urbanization in Duguesa, is available for long term rent now, at 1350 per month. 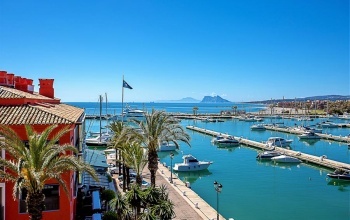 Fully furnished and equipped, large terrace with direct access to the beautiful gardens, swimming pool and to the beach!Two months deposit, one month rent and half month agency fees for a long term contract. 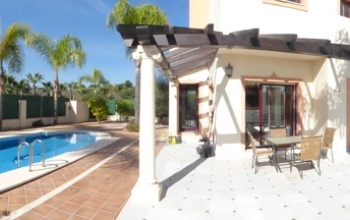 Beautiful semi detached villa for rent in Santa Clara Golf with garage, private garden and terraces and communal swimming pool. Built in wardrobes and fully equipped kitchen. Luxury urbanization in the outsides if Coin, great quality and finishing. 3 bedrooms and attic, private garden and pool. Availabe now for viewings.This property is rented unfurnished. The owner requires one month rent, 3000 euros security deposit and 1/2 month agency fee.For viewings please call 647229900 or email info@liveinthedreamspain. Magnificent Villa in Sierra Blanca. Unquestionably the best location on the Costa Del Sol. Luxury Villa with panoramic views. Five Bedrooms, 4,5 bathrooms. 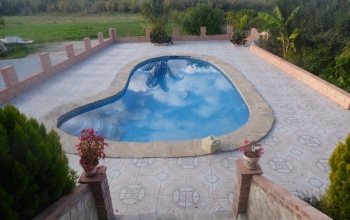 The property has a wonderful garden of 2800m2 & BBQ area. Wellness-oasis consists of a Relaxation Suite with Sauna & Jacuzzi. Breakfast Terrace with spectacular views across to Africa and Gibraltar. 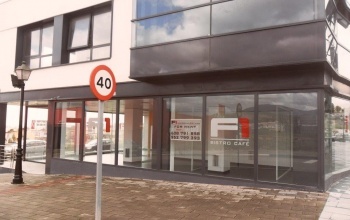 Great opportunity - Local in good location (San Pedro de Alcantara - next to DIA, BP Gasoline Station, Burger King and Shops) for long term rent available. Can be used for Bar, Shop or Office. Easy parking next to local. Monthly rent Euro 2.500.